Librarians do not track your reading or search history to sell you things.Amazon’s book purchase recommendation feature is useful for learning about new books. But this usefulness comes at the expense of your privacy because your reading data is valuable business intelligence for Amazon. The same is true for your web searching history, which is why you often see ads for a product for weeks after searching for it just once. 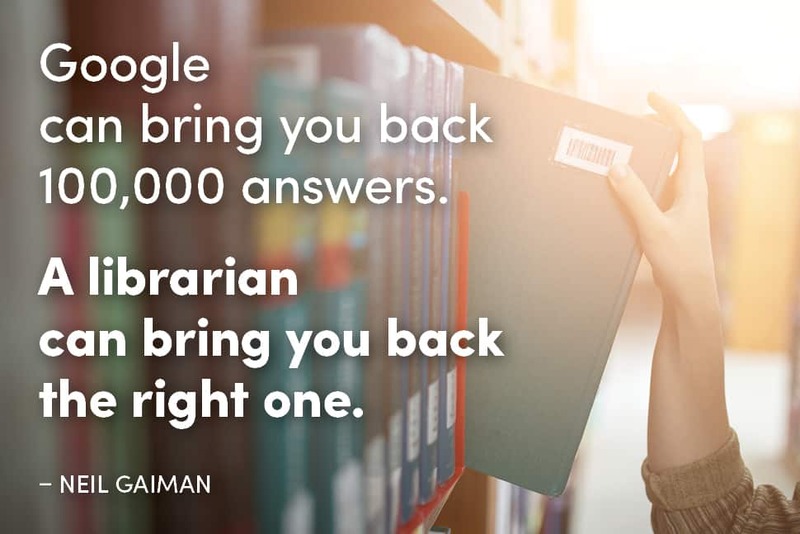 Librarians value and protect your privacy.